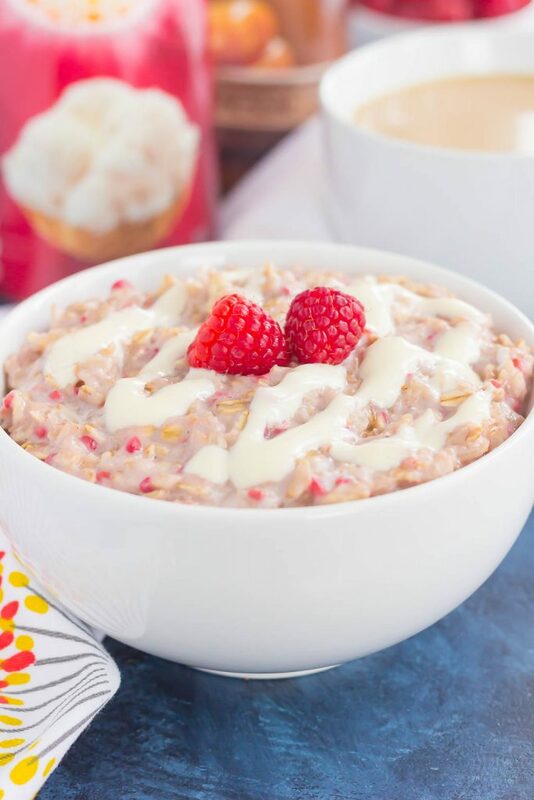 This simple and delicious Raspberry Cheesecake Swirl Oatmeal features hearty oats, fresh raspberries, and a swirl of creamy cheesecake. 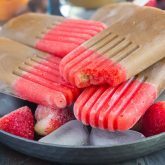 Easy to make, full of flavor, and on the healthier side, dessert for breakfast never tasted so good! A steaming cup of coffee in the morning is my happy time. It’s a must-have every day of the week, and something that I genuinely look forward to. 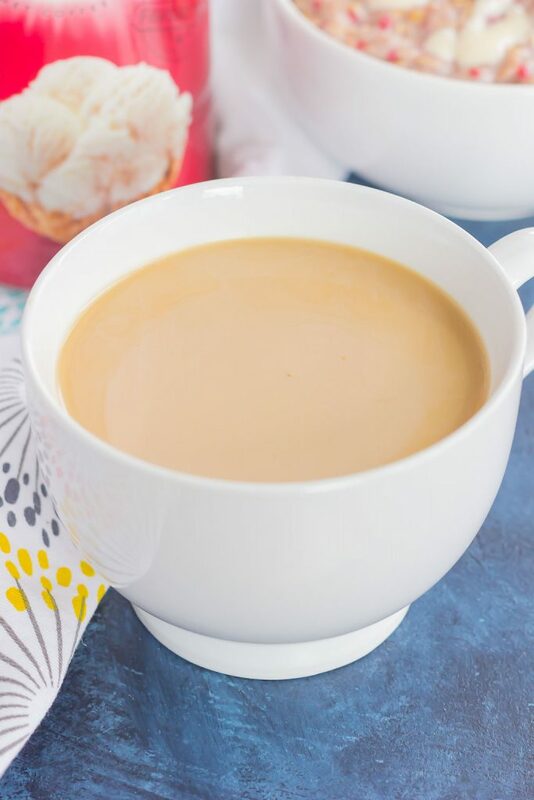 If you follow me on Insta-stories or Snap Chat, then you know that I love sharing my ‘flavor of the day!’ In fact, I often get requests as to new flavors of coffee and creamers that I should try. But, aside from the coffee flavor, I have to have a delicious creamer to go along with it. 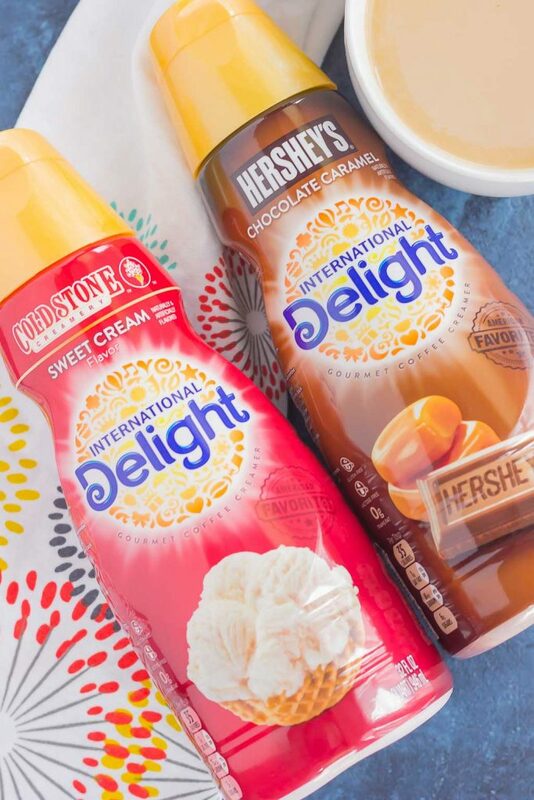 And you may already know that International Delight® Creamers is my coffee creamer of choice. 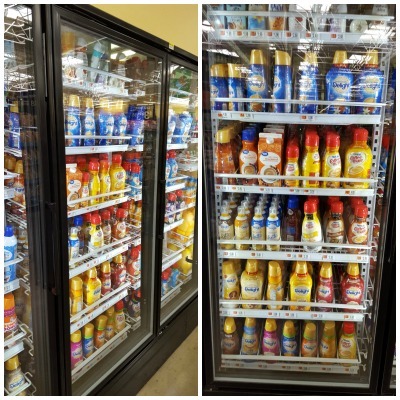 When I was shopping at Walmart last week, I came across their selection of delicious creamers. It’s easy to enjoy their delicious flavors, such as ™ Cold Stone Creamery™ Sweet Cream or International Delight® Hershey’s® Chocolate Caramel, simply by adding it to my cup of coffee every day. It makes my cup of joe even better and allows me to savor the flavor during my ‘me’ time. Have you tried International Delight® Cold Stone Creamery™ Sweet Cream? It’s a rich, sweet indulgence that reminds me of fresh, homemade ice cream. And then there’s International Delight® Hershey’s® Chocolate Caramel. It contains the unforgettable taste of Hershey’s® chocolate, swirled with caramel. Mmm mm good! These are my new favorite creamers, and I love adding it to my coffee every morning. Aside from my morning cup of coffee, I’m also a big fan of breakfast. I’ve mentioned before that I’m trying to make better breakfasts, and I’ve been doing fairly well so far. And with the help of International Delight® Creamers, I put my creativity to use and made this Raspberry Cheesecake Swirl Oatmeal. Not only is International Delight® Cold Stone Creamery™ Sweet Cream perfect for your cup of coffee, but it also makes a delicious addition to oatmeal. If you’re a fan of oatmeal (and cheesecake!) 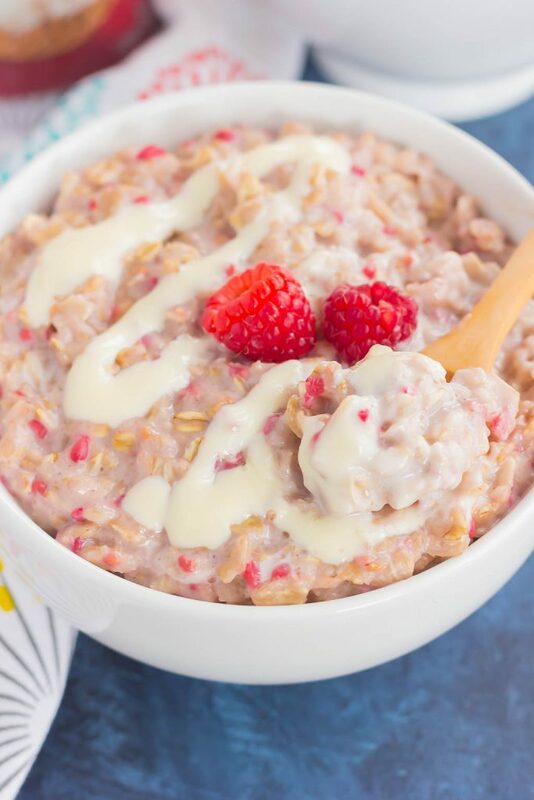 like I am, then this Raspberry Cheesecake Swirl Oatmeal was made for you. 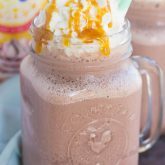 It’s a quick and easy recipe that’s ready in no time and packed with sweetness. And the International Delight® Cold Stone Creamery™ Sweet Cream makes these oats extra special. Eating a healthier dessert for breakfast is the way to go, right? Like most of my recipes, this oatmeal takes just minutes to make. But, you knew that was coming, right? I made this dish in the microwave to keep it simple, but you can definitely use the stove if you prefer. To start, you’ll the old-fashioned oats, International Delight® Cold Stone Creamery™ Sweet Cream, milk, vanilla extract, and honey into a microwaveable-safe bowl. Stir everything together and then heat on medium power for about 2-3 minutes, or until the oats have reached your desired consistency. Then it’s time for the cheesecake swirl! Simply stir together some softened cream cheese, a hint of powdered sugar, and a little International Delight® Cold Stone Creamery™ Sweet Cream. 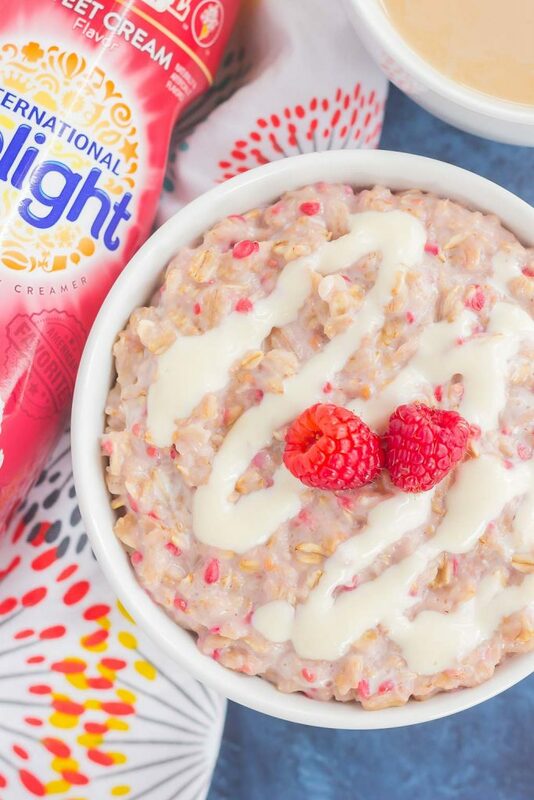 Swirl it into the hot oats, along with some fresh raspberries, and your breakfast is ready to be devoured. 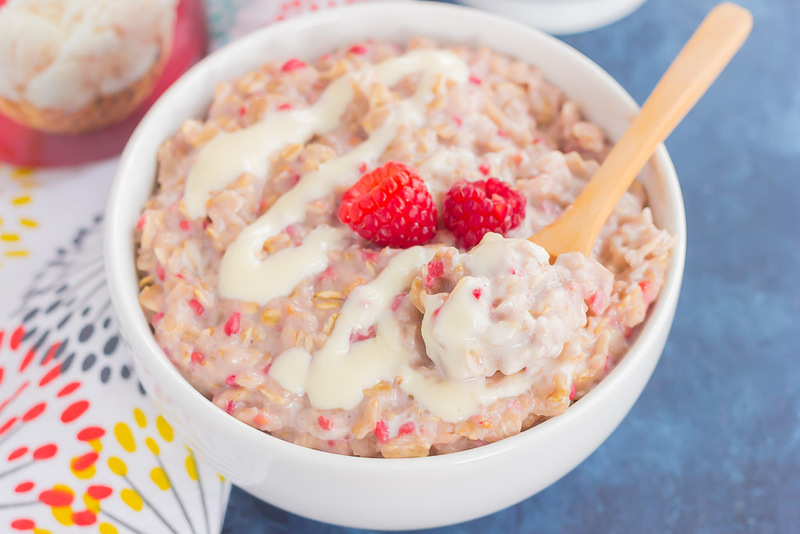 One bite and you’ll be hooked on the sweet and creamy taste of this Raspberry Cheesecake Swirl Oatmeal. Healthier, delicious, and perfect for breakfast, this oatmeal, along with a cup of coffee, is sure to be a breakfast winner for everyone! Add oats, milk, International Delight® Cold Stone Creamery™ Sweet Cream, honey, and vanilla extract to a medium microwavable-safe bowl. Stir to combine. Microwave on medium power for 2-3 minutes, or until oats reach your desired consistency. Remove from the microwave, add raspberries, and stir. Set aside. To make the cheesecake swirl, in a small bowl, combine the cream cheese, powdered sugar, International Delight® Cold Stone Creamery™ Sweet Cream, and vanilla extract and whisk until smooth. Like what you see? Then be sure to head over to your nearest Walmart to check out their collection of International Delight® Creamers and other products! So essentially you have given me the a-ok to eat cheesecake for breakfast and I love it! I'm a big fan of cheesecake (and oatmeal) and love how you've combined the two. I always have coffee in the morning (or maybe two....ok, usually two); Lately I've been rewatching Comedians in Cars Getting Coffee with Jerry Seinfeld. Have you seen that one? Every time I watch it I want coffee....well, even more so than usual. I'm usually a straight up plain coffee cream girl. Though, recently I have tried the coconut milk creamer which is pretty good. I'll have to keep my eye out for these flavours next time I'm at Wal-Mart. Pinning this one, of course :) Happy Monday, my friend! Haha yes, cheesecake for breakfast is totally acceptable today! :) I'm going to have to find that show! I've never seen it, but now I need to watch it. Thanks for the sweet comment and pin, friend! This oatmeal looks fantastic! 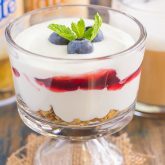 Love the idea of cheesecake for breakfast! Wish I saw these creamers earlier. Can't wait to try them! Haha love it...I definitely add about 5 splashes (or more!) to my coffee, and I do love iced coffee when it gets warmer out. Thanks for the oatmeal love and pin, friend! I'm a big coffee drinker too, though I rarely use creamer - you've got me re-thinking that decision! This oatmeal is so inviting! I can almost taste it! Thanks, Annie! Creamer or no creamer in coffee, it's a treat in oatmeal! As you know, I'm a HUGE fan of breakfasts that taste like dessert. This oatmeal sounds amazing! I've been using a splash of creamer in my oatmeal for years to give it that added decadent touch. The raspberry cheesecake combo takes it to the next level! I've been on an oatmeal kick lately, so this raspberry cheesecake version is totally calling my name! I love when breakfast is basically dessert in disguise.. but better for you. Love this one, Gayle! Thanks for the oatmeal love, Keri! Thanks, Marcie! I agree, cheesecake for breakfast should definitely be a thing! Cheesecake flavors at breakfast sound like a win to me! And I bet that creamer tastes so good...anything with Cold Stone Creamery or Hershey's in the name that's acceptable in the A.M. is sure to be a treat. What a great recipe to jazz up oatmeal! Yes! Those creamers are such a treat! Thanks for the oatmeal love, Alyssa! 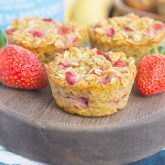 I am 100% confident that I would love oatmeal if it was strawberry cheesecake flavored! I can't function without my morning coffee, so I really need to try out some of these fancy creamers! Thanks, Rachelle! Those creamers are the best! Thanks for the sweet comment, Demeter! This is so so pretty, Gayle! Oatmeal is my favorite way to start the morning and this is such a fun way to jazz it up! Love the raspberries and the cheesecake swirl! Cheesecake for breakfast?! Oh heck yes! This looks like an absolutely scrumptious bowl, Gayle - I'm dying to dig into it! Thanks, Rachel! It's a new favorite of mine! These creamers sound delicious, I have to check these out! love the beautiful oatmeal! I too couldn't imagine starting my day without a cup of coffee! It's the best part of my morning. :) I could only imagine how perfectly this oatmeal would go alongside my coffee! LOVE the sound of raspberries and cheesecake hanging out in one bowl! Yesss to coffee! Thanks for the sweet comment, Sarah! Great breakfast idea, it looks delicious! I love how you have managed to turn cheesecake into a totally legit breakfast! YUM.